Nothing says spring like a road trip: cruising down a scenic highway, windows down and music up, the sun warming your bare arms as you pull off in pursuit of the perfect picnic spot. But the best part of any road trip is that it’s—pardon the pun—the vehicle for adventure, especially if you find yourself road trippin’ down the Lookout Mountain Parkway. Spanning three states, the winding 93-miles of Lookout Mountain Parkway is famous for its unmatched views of the rolling mountains, ancient forests, and jaw-dropping waterfalls of the lower Appalachians, but it’s the array of easily-accessed adventures that makes this scenic byway so special. Here’s your guide to getting off the road and into adventure along the Lookout Mountain Parkway! 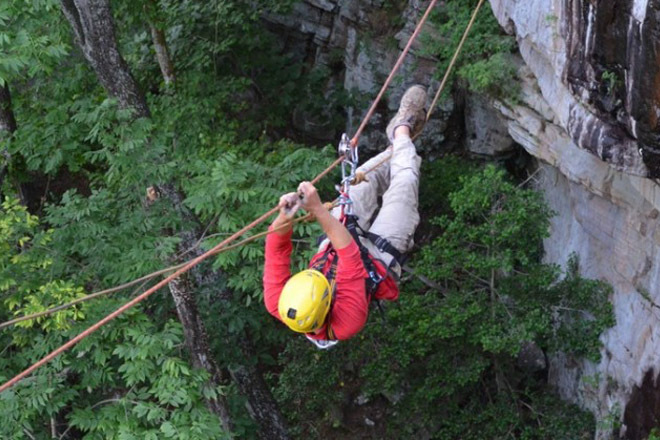 Located in Fort Payne, True Adventure Sports has something for everyone. Experienced explorers can rent outdoor gear like mountain bikes, canoes, and kayaks from their office. Boat rentals even include a shuttle ride for maximum ease! And if you’re more of a nature newbie, True Adventure Sports offers a selection of more than 30 different guided excursions, encompassing everything from caving and rappelling to mountaineering and backpacking. You can rest easy on these guided excursions, as all lead guides are required to have the highest level of training in the South. Road trips are a great escape, but if you really want to connect with nature, you’ve got to get out of the car and onto the trail. Shady Grove Dude Ranch, located on the grounds of the Southeasternmost ski resort in the United States (yes, there’s skiing in Alabama! 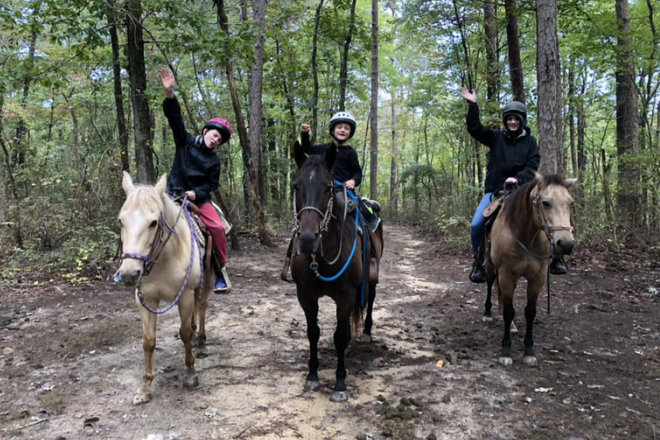 ), gives travelers a chance to slow down and connect to nature in a way that would make John Wayne proud—on horseback! The dude ranch itself is an idyllic slice of heaven and a bit like something from another era, and the guided horseback rides give travelers a unique look at Lookout Mountain’s spectacular waterfalls. If you get tuckered out along the trail, you can always hit the hay right where the trail ends! They offer cabin and chalet rentals, with some options on the property accommodating as many as 24 people! 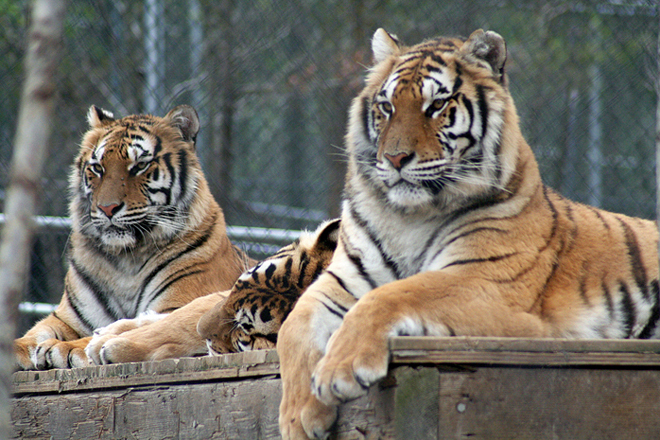 If you feel the need to answer the call of the wild, head over to Tigers for Tomorrow at Untamed Mountain, a “last stop” rescue preserve for retired and surrendered exotic animals, especially larger predators, to live out their remaining days. Located just 20 minutes from the Lookout Mountain Parkway, this unique non-profit animal park offers visitors the opportunity to see their favorite predators, like big cats, bears, and wolves, up close and personal (from a safe distance, at least!) while highlighting the importance of maintaining these incredible creatures’ natural habitats. You can even adopt one, although it’s important to note that your new addition can only come home with you in the form of a photo. You never know what adventures you may encounter along the Lookout Mountain Parkway, so give yourself plenty of time to get to know this hidden gem of a highway. After all, life’s about the journey, not the destination.